We offer fantastic virtual and physical server hosting in our datacenters, which includes server hosting in Teraco, which is Africa’s largest data centre vendor. Contact us today and let us help construct a customized package that will suite your requirements. What is a virtual server hosting? Traditionally servers were physical machines / computers which ran only one operation system. With virtual servers you can run more that one on a physical machine, and each virtual server can run it’s own operation system. This basically means that the physical machine is just a host for multiple servers, in this case virtual servers. 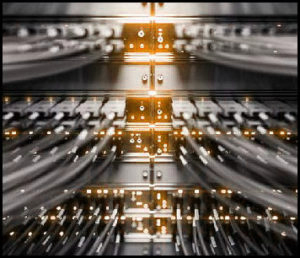 Each of these virtual servers react as if it is a separate physical computer and behave accordingly. Virtual servers can be used by either different business units within a company or different companies altogether, where they can each have their own separate and secure server that they can administer. Each virtual server can be set up to run different domain names, IP addresses, applications and file directories. We can also assist you with onsite and offsite backup solutions for all your backup needs.